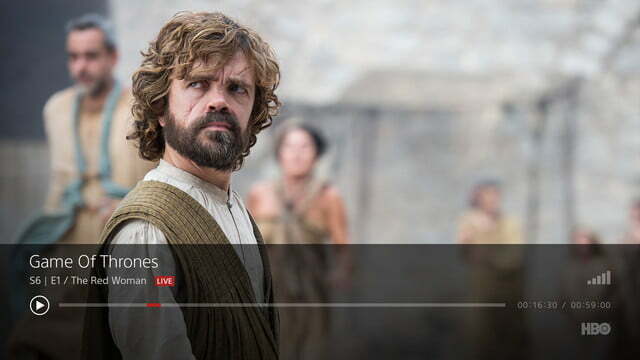 For some time now, Sling TV has had a major advantage over Sony’s PlayStation Vue by being the only one of those two streaming services to offer HBO and Cinemax. Earlier this month, Sony promised that both channels were coming to its streaming service, and on Thursday it fulfilled that promise by making both channels available to PlayStation Vue customers. Unlike Sling TV users, PlayStation Vue customers have a choice of two options when it comes to how they pay for their channels. Both HBO and Cinemax are available as stand-alone add-on channels, with each costing $15 per month. Both channels are also available as part of the new Ultra plan, which also came to the PlayStation Vue on Thursday. Ultra is a step above the PlayStation Vue Elite plan, previously the highest tier available on PlayStation Vue. The Ultra plan is similar and includes everything in the Elite tier, plus the addition of HBO and Showtime. If you’re already an Elite subscriber and want to add both channels, this is the more economical option as both channels will only cost you $20 more per month, as opposed to $30 per month if bought individually. The Ultra plan costs $65 per month, or $75 for customers in markets where most major live local broadcast stations are available, compared to $45 or $55 for the Elite plan. For users who are more interested in one or both channels but don’t need all the channels featured in the Elite package, paying for the newly added channels individually on top of either the Access or Core plans, which cost from $30 to $45 per month, makes more sense. This isn’t the only news concerning Sony and HBO that was announced Thursday. 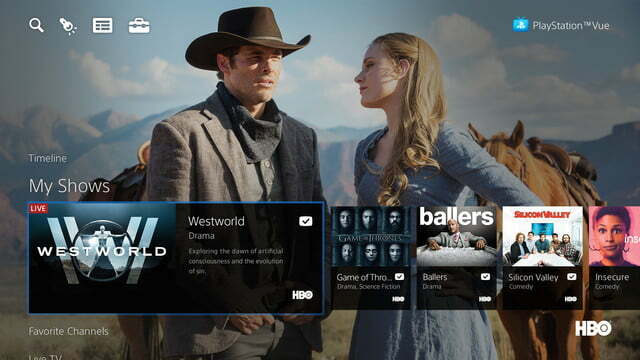 The HBO Now app is finally available on both the PlayStation 4 and PlayStation 3 consoles. PlayStation Vue subscribers who include HBO in their subscriptions are able to access the app for free, while the app costs $15 per month for those without a PlayStation Vue subscription.